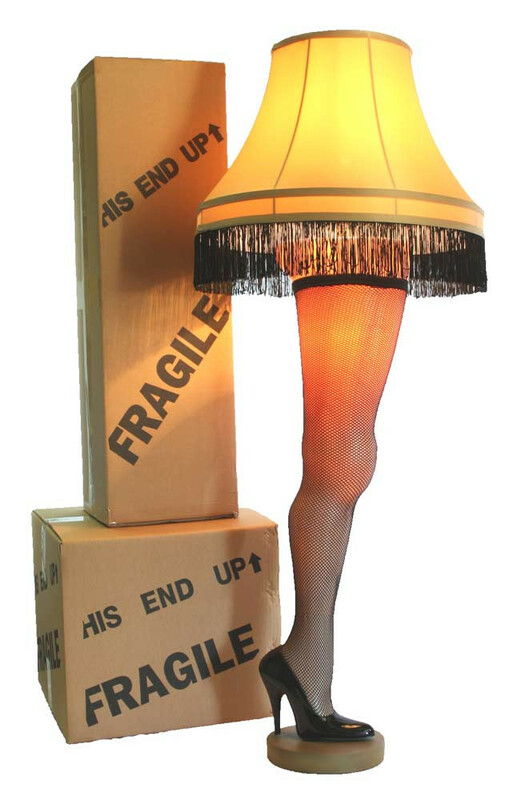 Win a Major Award! (Maybe!) – Hey, Look! A Writer Fellow! As I mentioned back in February, during my way-too-long blog absence I was swamped with a lot of work. The first and (so far, only) recipient of The Sully Award was Mary Gillilan, the publisher of Clover, a superb literary magazine. You should buy a copy of Clover, by the way—not only because my stuff was published in issues 11 and 12, but also because my Clover essay, “Short Fuse,” got me a Pushcart Prize nomination. If you need a more convincing reason to buy Clover, here it is: Each issue is chock full of stories by writers who write better than I do. Mary got her Sully in September. She found it nifty. Once upon a time, Laurel Leigh, a terrible, horrible, no good, very bad person from Whatcom County, Washington, mercilessly launched a long and brutal cross-country, online smear campaign against me. The reason? She wanted me to draw her a doodle of a salamander. As many of you know, I sometimes doodle on this blog. I sometimes even run contests where the winner can get a doodle of anything he or she wants. But this… This was extortion. I could not abide by it. To do so would be unseemly. I tried to resist Laurel — I really did — but the forces against me were too great. She enlisted her many minions to assault me at all hours of the day and night. She forced innocent children to do her bidding. She shed tears of woe. And then she threatened me with a doll that is possessed by the devil. And then—worst of all—Laurel got me to like her. Laurel really is a lovely person. Persistent, single-minded, and sometimes unseemly, yes, but lovely. So I drew her a salamander. I named him Sully and the name stuck. By the way, if you want to get Laurel’s gleeful take on these salamander shenanigans, click here. The reason I bring up Sully and the honor in his name, is because I was thinking of turning The Sully Award for Excellence in Writerishness into an annual writing competition. I don’t know the particulars of the competition yet, but if you folks are interested, I’ll put together the rules, get some prizes, and assemble a team of judges. So! Let me know what you think in the comments! If there’s enough enthusiasm for this thing, I’ll do it. And then, who knows? A coveted Sully may soon find a place of honor in your very own home. Next postSULLY AWARD COMPETITION NOW OPEN! Hiya, Sue! Glad to hear you’re on board with this idea. I am doing well, but sure could use a vacation. In a location that is Trump-free. I was hoping it would! Oh yes, Race right past GO! Would you submit something, Mary Jane? And pass up the opportunity to win a Sully? I was in on his origin helping Laurel badger you for a doodle! Heck yah, I’ll submit something. No doodle of your choice this time around; that is for the twice annual doodle contest. And, besides, you already have an Allegra original, so don’t get greedy. The prize for this competition will be an official Sully Award certificate (suitable for framing) and a couple of other prizes to sweeten the deal. Oh, okayyyyy. Yes, I’m very greedy when it comes to Allegra doodles and dark chocolate. Lol. Lord knows I was just waiting for a post from you. i was even checking yesterday ( I don’t know why). You made me laugh again. Well that award sounds nice. I love the doodle. No wonder she pestered you, I’d have done the same. You should really consider the award thingy. You may consider the award thingy duly considered! I would be disappointed if you didn’t get on board D. Wallace. Considering the quality of your writing, I think you’d would be harder pressed to give me something non-Sully worthy. It shall be funly to the extreme. I really can’t think of a better idea — unless it involves purring cats on polar fleece. But I digress. YES! I can think of many things better than cats on anything. I’m allergic, you see. 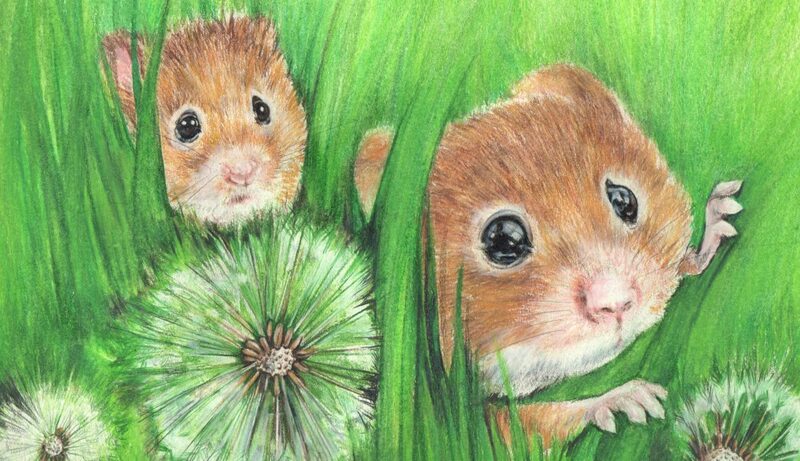 Also I am a pro-rodent (prodent) person. ME want Sully. ME write very hard. In other news, I have just managed to write 124,000 words of Supergirl fanfiction in 27 days, to fix the mistakes the writers are making this season. Somebody asked me if I’m part typewriter, which is probably the sweetest thing anyone has ever said to me. Good to have you back! Good God, Sue! 124,000?! You are a dynamo! Now if you’d only write about Lynda Carter as Wonder Woman — but still wearing her glasses. There really should be more kickass women superheroes who wear glasses while fighting crime. Ahem. Perhaps I am revealing a bit too much. Oh, honey, I am with you on that one. Maybe after I’ve learned 200,0000 words worth of lessons and seen the June movie, I will be able to do this. I knew I could count on you, my friend. Best idea ever! If I would be so bold as to make a suggestion, it would be to include excerpts from longer works of fiction. So many contests want only flash fiction or short stories. Oh, Giff. I admire your boldness. And that’s a pretty good idea. Groovy! I look forward to you entry (once I figure out the contest’s rules). No one has said you cannot submit a PB manuscript, my friend. But I also recall an incredible nonfiction essay you presented recently. I think you’d be quite the contender in this contest — provided you don’t waste valuable writing time looking after other people’s pets. Sage advice, my somewhat seemly friend. I am so busted! I owe you and that Wes guy some kind of manuscript, don’t I? I’m having such a hard time making the rough draft sound like anything more than an info dump….must get inspired! Yes, yes, yes, you must write and write and now you apparently also owe Writer Fellow a couple hundred words. No rest for the majorly talented! I am writing myself into a hole, aren’t I? And hear I thought you were having cows and kittens about my bovine requests. A cow award would have have been bully–much more moooving. I just came up with the first rule for the Sully Award contest: NO COW PUNS! Oh, you only want Grade A writing? I knew you would milk this. It behooves me to try and remain outstanding in the field of bovine humor. I shall endeavor to send only the cream of the crop for your inspection. Cud this thread more udderly irksome? Hay! What’s your beef? Cow humor is punny stuff. Please steer this conversation elsewhere. I’ll field your concerns and whey the matter before deciding. You butter get out of here. Same old beef I’ve herd before. I’ll bet you’d approve of goat puns, though. Or perhaps rodent puns? Of course. I’m only human after all. Hahahaha! I knew it! I knew that deep, deep, deep like below the ocean, you had a soft spot for me and my pals out here in Whatcom County. Aren’t you glad we stalked you? That’s what I think, exactly! Although I have to admit to some internal conflict about this so-called contest award. I mean, he will still be ours, right? We are just sharing him with the world, not giving him away. Oh, yes. You and the denizens of Whatcom County are the only people who can claim ownership of Sully Salamander. The Sully AWARD, however, might go to anyone. Wellll, okay, that sounds like a fair enough compromise. In that case, I vote for the contest! Sully would want it that way. Oh, no. None of that crapola, Erik. You are a bloggy dynamo with great hats. If you aren’t on board, the contest is OFF! And you deserve one! Several! Lots! If you won, would you hang the certificate on your wall at Lawrenceville? I think it is a wonderful idea for those who have a talent for entertaining writing. I think you should do it because I think you’d have a lot of participants. I can write a PB MS, or a public affairs piece, but not so sure I have that creative streak. But who knows…. Pfft. No creative streak? Really? You’re not fooling anyone, Patricia. Interesting idea. I like interesting ideas. And I like interesting people! Or, to put it another way, thanks for coming by, my friend! I heard there was chocolate. 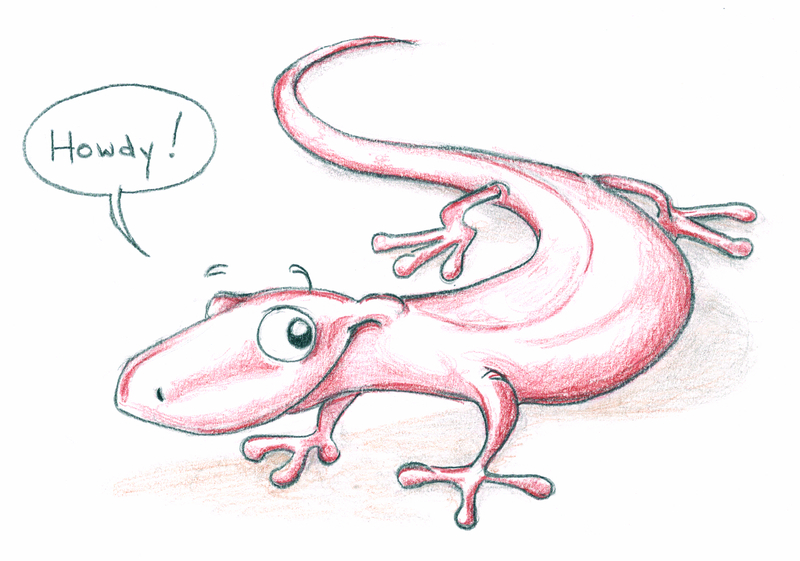 It’s a fun idea, and a very cute salamander. I’d enter to win a sully award. Fun story. Excellent. And HEY! Nice to see you again! We writers must suffer for our art. And I love the doodle. To be bestowed with the Sully award would be a tremendous honour. I shall accept wine stories. I shall also accept a few bottles of Chianti if you’re not above bribery. Best I can do at this time is a write up on Dom Perignon. It’s part 2 of a 3 part series, so it’s really a package deal. I’m all out of fresh ideas. Can I submit something stale? You may even go moldy if you must. This sounds like a great idea. I will look forward to all the Sully worthy posts. Excellent, Michelle. And you, of course would enter, yes? Be careful. This is French so it is Fra GEE lee! !